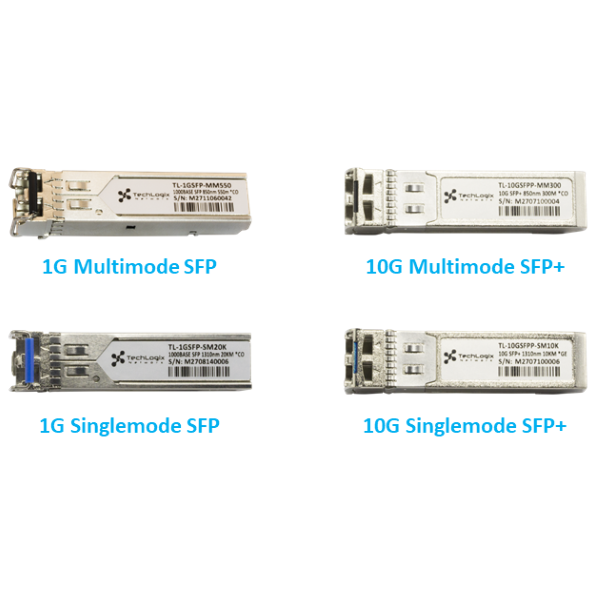 The TL-1GSFP-MM550 transmits 1Gb signals up to 500m over duplex multi mode fiber. 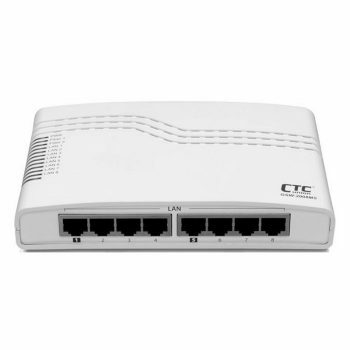 The TL-1GSFP-SM20K transmits 1Gb signals up to 20km over duplex single mode fiber. 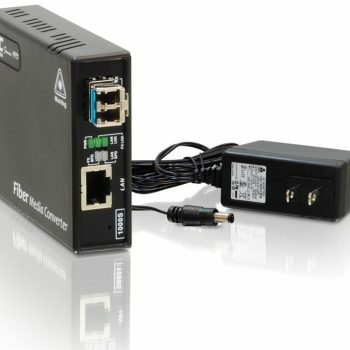 The TL-10GSFPP-MM300 transmits 10Gb signals up to 300m over duplex multi mode fiber. 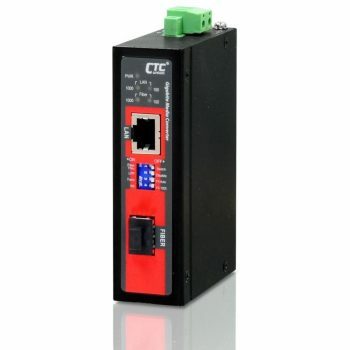 The TL-10GSFPP-SM10K transmits 10Gb signals up to 10km over duplex multi mode fiber.